CASology is made up of an amazing team of designers, each of whom has her own style and I'm often inspired by all of them. This set of cards was inspired by both GD Laura's card, as well as Jen's card. At some point, I am going to figure out how to case May's card - did you see that clean embossing?! For the first card I used a Tim Holtz Joy die (disappointed with the less-than-clean cut) and an unknown little snowflake (it's one of my faves). The second two will be given to my kids for Christmas. 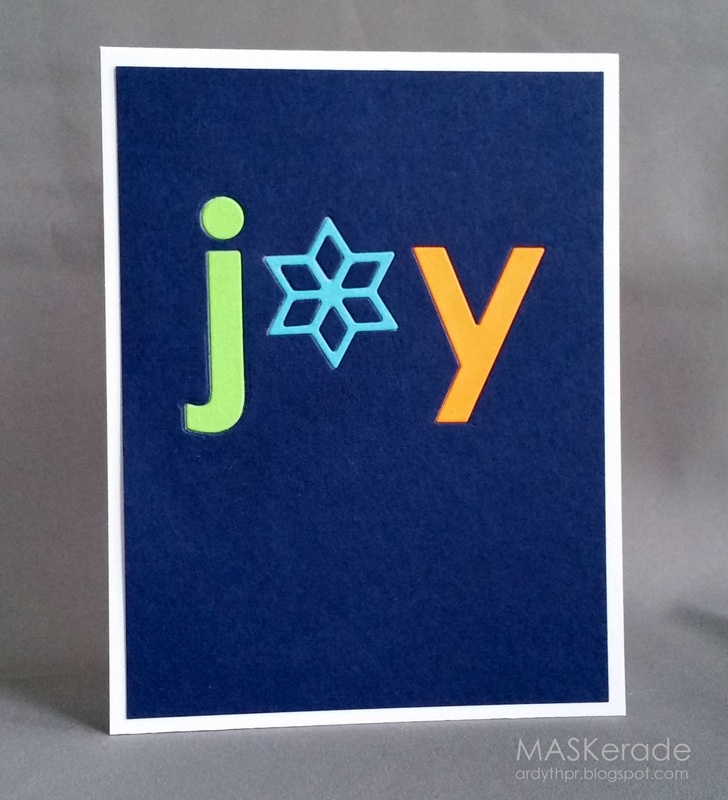 I used an MB alpha, a Lil' Inkers Designs snowflake for 'noel' and an unknown snowflake for joy. Your colors are wonderful - they add a bright and happy spark. Clever and fabulous designs Ardyth! Love it! Ardyth these are so fabulous, I love the colour against the navy blue and the inlaid die cutting is fantastic! You did well considering the weather we have had this month in Toronto! Great CAS cards, Ardyth. I have found out that if you use a metal shim with Tim's word dies you get a cleaner cut. Oh these bright colors are truly fabulous Ardyth. Love all the in laid dies! Wow, love the Cards, the awesome colors against the dark background is stunning. The pics look fine to me! The brilliant colors are stunning, especially paired with this yummy, deep rich shade of navy! The kids are gonna love these cool cards! These are all so dramatic and gorgeous. Love all those different snow flakes. I think these cards are gorgeous. I love how you grounded those bright bursts of color with the deep navy. Perfection! I love the joyful bright colors! Great cards. 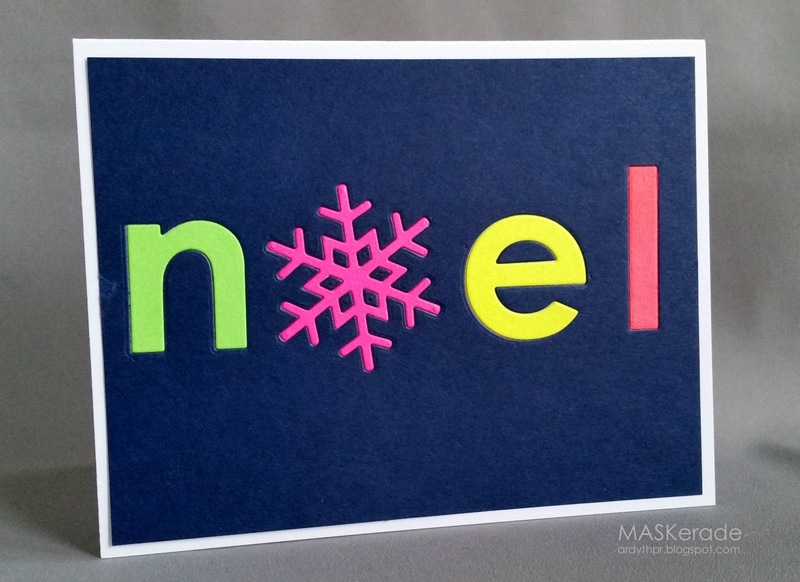 I love the NOEL in the bright colours! I'll have to CASE your CASE! :) And I didn't even notice the rough edges of the joy diecut. I had to zoom in close to see it. I know what you mean though. I feel like I spend a lot of time with my exacto blade scraping edges clean! LOL!